Hey guys, this week with hair I went through a few more changes than usual. If you have read the previous post you know that my style for the week was an awesome (If I do say so myself) flat twist out to the side. 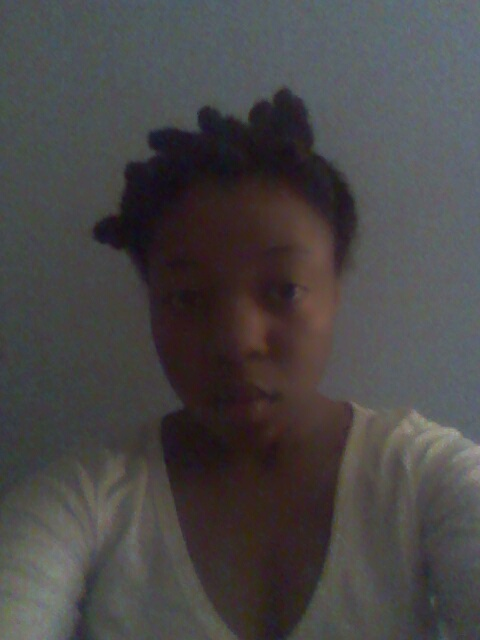 I did the flat twist out on Saturday after I washed it. My hair was what I call curly awesomeness (yeah I made that up) from Saturday until Tuesday night. On Tuesday I resisted it and Wednesday and Thursday were great, but when I woke up Friday my hair just gurl! Words do not express how crazy I looked. It was around seven and I had to walk out of the door at 8’oclock. I had to think fast what I shall do. I know that natural hair girls will do their hair and, because they are not through styling they put a hat on. I didn’t want to participate in that lol. I’m sorry I just can’t! Maybe on a quick run or if I’m not going anywhere I wouldn’t mind wearing a hat. However, Friday wither I liked it or not I was going to be seen all day. So what I did was I used hair pins and transformed my side pin up hair due into a forward pin up leaving out only the top. 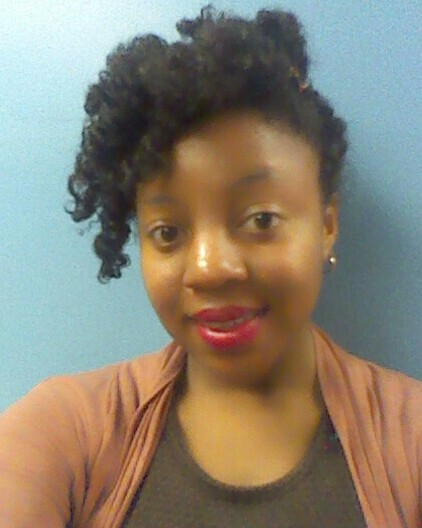 The curls I had were in complete disarray, so I put the rest of my hair in bandtu knots. These kinds of times are when a water spray bottle comes in handy. You can make a water spray bottle out of your old oil spray bottles. Without the help of my water spray bottle and my organix coconut oil spray none of what I say from here on out would be possible. Now usually I do not two strand twist my hair before I put my hair in bandtu knots, but I was pressed for time. I needed curl definition fast. When styling quickly, you know you won’t get the same polished look you get with more time (you have to be creative). Thinking on your feet is essential. As soon as I finished putting in the bandtu knots I jumped in the shower and dressed and when I took out the bandtu knots they were not overnight success but definitely a good look for the time being. We don’t always have all the time we want to do our hair, but we have to be resourceful to make it work. Remember if my hair was not right in the morning I would without a doubt be late. Not anymore! Time is of the essence and we have to prepare to conquer the day even if that includes hair malfunctions. Remember be happy be curly be you and you will never fail.